India’s No.1 online smartphone selling brand Xiaomi is ruling the smartphone market from the last three years. The launch of Redmi Note 3 changed the whole graph of Xiaomi in India. From the very beginning, Xiaomi has provided excellent value for money products. Now the recently launched Xiaomi Redmi Note 7 Pro is getting the news coverage. 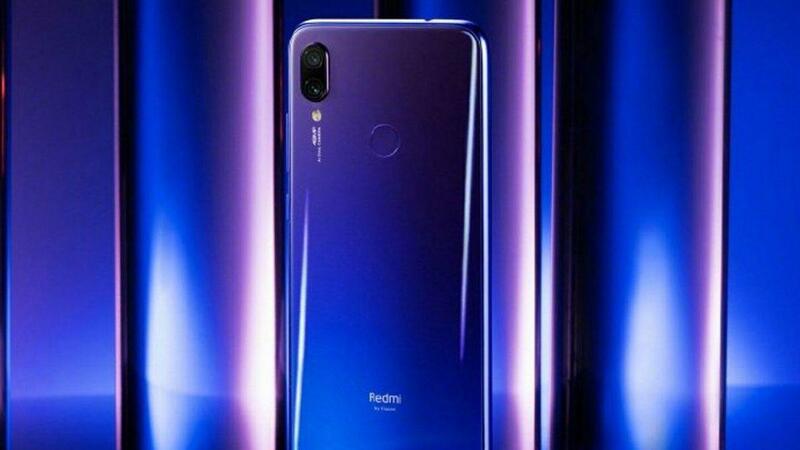 Some recent devices from Asus and Realme phones are giving great competition to Xiaomi devices. 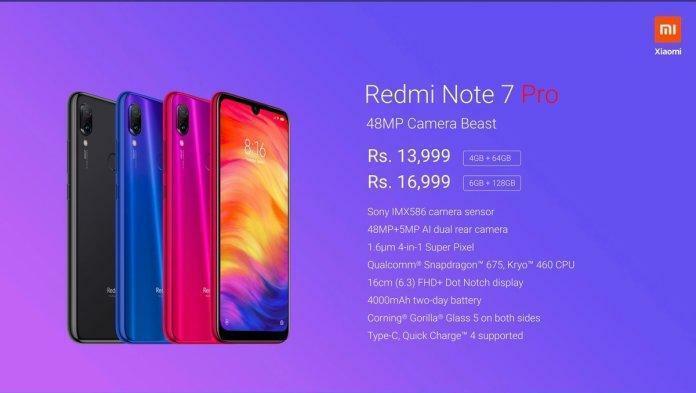 Currently, the latest device from Xiaomi in India ‘Redmi Note 6 Pro’ not seems to be so promising and worth buying in front of smartphones like Asus Zenfone Max Pro M2, Realme 2 Pro, and Realme U1. All three smartphones are providing a better processor, design, and competitive camera. So, Xiaomi will recover it’s No.1 position in India, as the upcoming Mi Note 7 Pro will be a challenging device for all other competing brands. 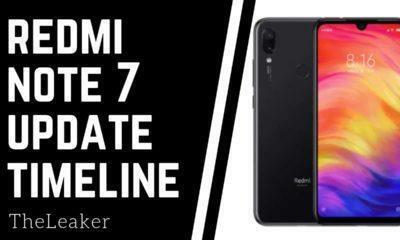 So let’s talk about Mi Redmi Note 7 Pro specification first to get a brief idea about the device. 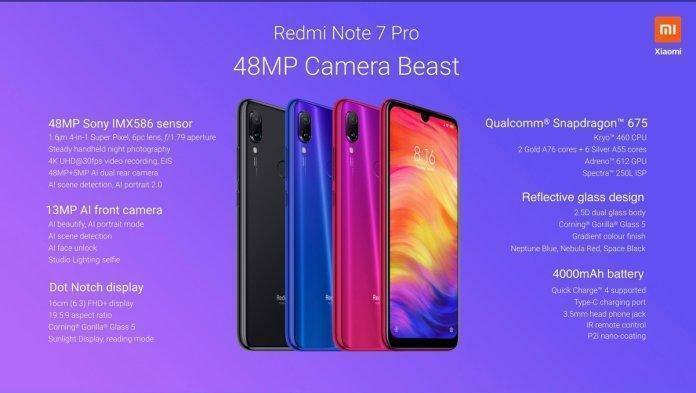 Xiaomi Redmi Note 7 and Redmi Note Pro have almost identical hardware specifications and design. However, there are three major differences; the regular Mi Note 7 uses a Samsung 48MP GM1 camera sensor while the Mi Note 7 Pro uses a Sony IMX586 48MP camera sensor. The Redmi Note 7 Pro also has a better 11nm LPP process technology based Snapdragon 675 SOC, Quick Charge 4+ and 6GB RAM 128GB Internal storage configuration. The back camera is the major highlight of Redmi Note 7 and Redmi Note 7 Pro. For optics, the Redmi Note 7 Pro comes with a dual rear camera setup which includes a 48-megapixel Sony IMX586 primary sensor with f/1.8 aperture and 0.8-micron pixel size which is claimed to be capable of taking pictures equivalent of a 12-megapixel photo taken with larger 1.6-micron pixels camera. There is a 5-megapixel secondary sensor with an LED flash. At the front, there is a 13-megapixel camera with f/2.0 aperture, autofocus, AI beauty and more to take good selfies and portrait shots. Also, Redmi Note 7 Pro supports Camera2 API which means you can use Google Camera ports to enhance the image quality even further. Regarding software, the Redmi Note 7 Pro is boosted with the latest Android 9 Pie out of the box. 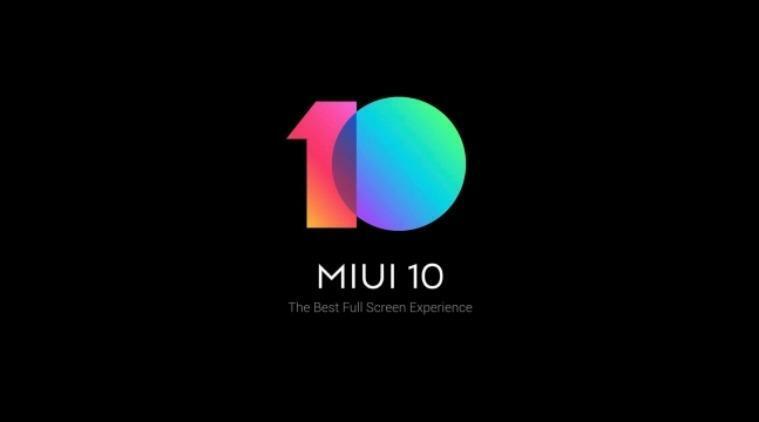 It will also feature the latest MIUI 10, the custom UI from XIaomi. Talking about MIUI, it features a flawless fast and optimized performance. Xiaomi has designed MIUI in a way to provide great user experience, even in low-end budget devices. Xiaomi always provides excellent value for money devices. 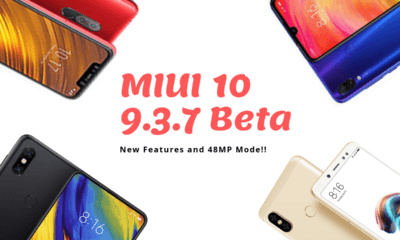 When Xiaomi launched Poco F1 at Rs. 20,999 the whole flagship market game was changed. So, it’s not wrong to say that, Xiaomi is Jio of the smartphone market, and this brand has so much potential to shake a particular smartphone category. The Redmi Note 7 Pro is priced at INR 13,999 for the 4GB-64GB model while the 6GB-128GB model is priced at 16,999 in India. The smartphone is available in Space Black, Nebula Red, and Neptune Blue Color. great Post, performance of both the phone is good. 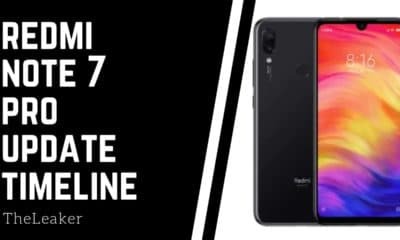 I purchase redmi note 7 pro. I already purchased the phone cover of Redmi note 7. They may announce it on 28 Feb, but it will not come on sale. However, we still don’t have any strong confirmation.